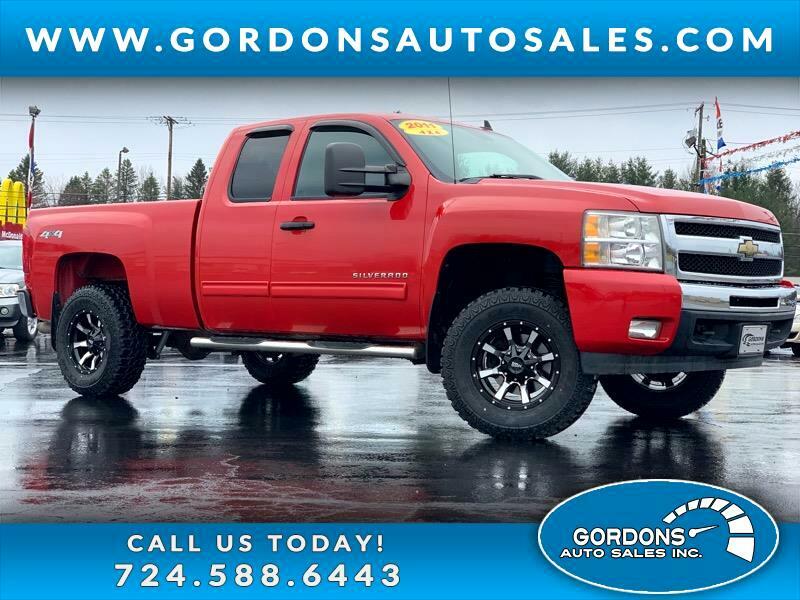 LOOK AT THIS ONE---3.5 INCH SUSPENSION LIFT---6.2L V8--- YES IT HAS THE 6.2L --RARE TO FIND ---ONE OWNER---4X4---LT PACKAGE ---EXTENDED CAB--ALLOY WHEELS --AUTOMATIC TRANSMISSION---CRUISE CONTROL--TILT STEERING WHEEL---POWER DOOR LOCKS---POWER WINDOWS---AM/FM CD---DAYTIME RUNNING LIGHTS---AM/FM CD--VEHICLE STABILITY CONTROL SYSTEM. COME CHECK THIS TRUCK OUT, WILL HAVE THE POWER TO TOW WHAT YOU NEED! CALL US FOR DETAILS AT 724-588-6443.